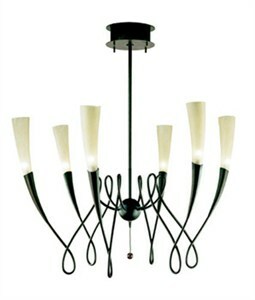 graceful metal supports with hand-waxed rust finish and hand-blown amber "Scavo"
Murano glass diffusers. Imported from Italy. Includes integrated transformer. Uses 6 X 20W GY 6.35 base 12V halogen bi-pin bulbs, not included.